An indehiscent fruit formed by several united carpels. The major part (fleshy part) of the fruit is derived from hypanthium and ovary wall. Endocarp enclosing the seeds is hard or plastic-like in structure. e.g. 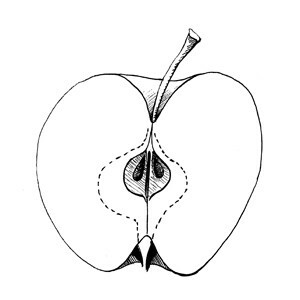 Malus, some species in subfamily Maloideae.